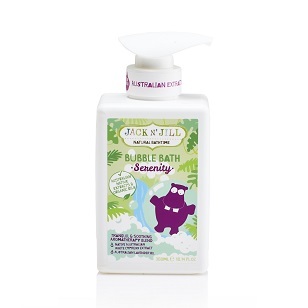 Straight from the land downunder comes Jack N' Jill Kids Natural Bathtime products! This luxurious product line features the natural beauty & life of Australia in a non-toxic formula created with your joey in mind! Jack N' Jill Kids bath products use native Australian extracts and organic oils to beautifully clean and nourish your family. Jack N' Jill Kids Natural Bubble Bath is created from a unique recipe of skin-nurturing ingredients. Quinoa contains skin-essential minerals, such as calcium, iron, and phosphorus, to prevent dry skin. It also contains vitamin B2, which plays an important role in skin elasticity and connective tissue generation. The naturally occurring essential amino acids in quinoa also provide protection and strength to hair, promoting growth. Derived from a Chilean native tree, soap bark acts as a natural soap and cleanser. It contains antioxidants and provides anti-inflammatory benefits to the skin. Soap bark is a natural foaming agent, providing a gentle alternative to sodium lauryl sulfate (SLS), found in many traditional soaps and cleansers. Pair your favorite Bubble Bath with Jack N' Jill Kids Natural Shampoo and Body Wash for the ultimate bath experience! Add Jack N' Jill Natural Bathtime Bubble Bath to running water and assist to increase bubbles by lathering vigorously with hands! Simplicity: Water (Aqua), Coco-Betaine, Decyl Glucoside, Coco-Glucoside, Glycerin, Sodium Citrate, Gluconolactone, Xanthan Gum, Quillaja Saponaria Bark Extract, Chenopodium Quinoa Seed Extract, Panthenol, Citric Acid, Disodium EDTA, Sodium Benzoate, Calcium Gluconate. Serenity: Water (Aqua), Coco-Betaine, Decyl Glucoside, Coco-Glucoside, Glycerin, Sodium Citrate, Gluconolactone, Xanthan Gum, Quillaja Saponaria Bark Extract, Chenopodium Quinoa Seed Extract, Lavandula Angustifolia (Lavender) Oil, Callitris Glaucophylla (White Cypress) Oil, Callitris Glaucophylla (White Cypress) Leaf Extract, Anthemis Nobilis Flower Oil**, Salvia Sclarea (Clary) Oil, Panthenol, Citric Acid, Disodium EDTA, Sodium Benzoate, Calcium Gluconate, Linalool*, Limonene*. Sweetness: Water (Aqua), Coco-Betaine, Decyl Glucoside, Coco-Glucoside, Glycerin, Sodium Citrate, Gluconolactone, Xanthan Gum, Quillaja Saponaria Bark Extract, Chenopodium Quinoa Seed Extract, Cocos Nucifera (Coconut) Oil**, Maclura Cochinchinensis Leaf Extract, Cananga Odorata Flower Oil, Citrus Aurantium Dulcis (Orange) Peel Oil**, Cymbopogon Martini Oil, Citrus Aurantium Dulcis (Orange) Flower Oil, Panthenol, Citric Acid, Disodium EDTA, Sodium Benzoate, Calcium Gluconate, Limonene*, Linalool*, Geraniol*, Benzyl Benzoate*. Jack N' Jill Kids Natural Bathtime Bubble Bath is free from Parabens, Sulfates, Palm Oil, Synthetic fragrances & colour. We love this for bath time because it's gentle, but makes lots of bubbles. 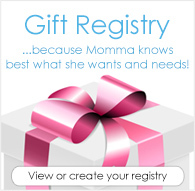 I like the unscented one for my littles.